The prospective developer of a large wind farm yesterday denied its plans would leave a Caithness village beset on all sides by turbines. Objectors to Eon’s scheme at Golticlay, near Lybster, believe it would leave residents encircled by whirling blades on land and at sea. Councillors formally objected to the plans last September, highlighting concerns about the negative impact on osprey and rare wildcat populations, resulting in an inquiry. 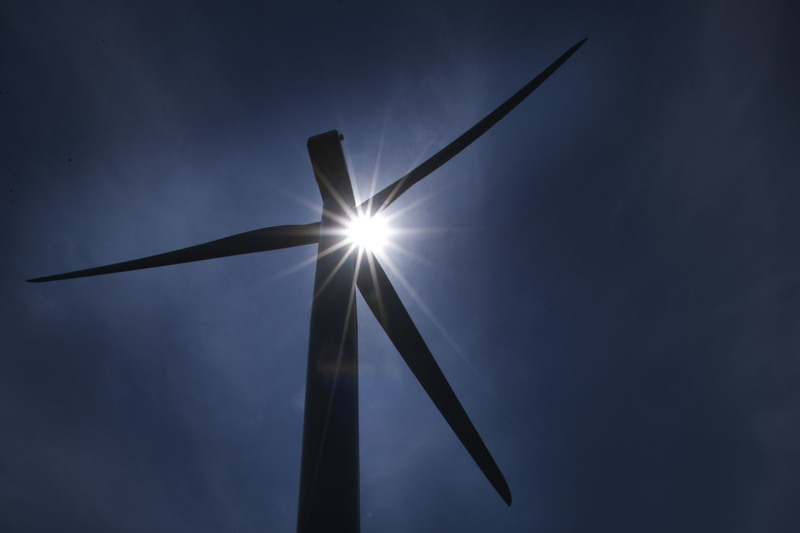 But the energy giant says its proposed 19 turbines satisfy the guidelines and could be accommodated within the landscape without undue problems. On the first day of a public local inquiry into the plans, Eon consultant Jon Mason said the development is sited in an area where wind farms are “likely to be acceptable,” under Scottish planning policy. Objectors fear the development, when taken together with the existing Burn of Whilk and onshore farms and the hundreds being erected immediately off the east Caithness coast, will lead to Lybster being “encircled” by the towers. But Mr Mason, a landscape architect, said the Golticlay turbines, which would stand up to 425 feet high, would not be visually prominent from the majority of views or from the affected settlement. He said: “Neither Burn of Whilk nor the BOWL offshore project is visible from a majority of the settlement either. “Those locations where all three developments would be visible are in the minority. Mr Mason did not believe the development would, as objectors allege, blight the local stretch of the North Coast 500. He said the turbines, where visible from the A99 and A9, would be set back from the roads and clearly visible only for relatively short sections north of Latheronwheel and south of Wick. Turbines are already very visible from the route and have been since before it was launched. “They have not inhibited its success,” he said. The inquiry in Wick will run until Friday.